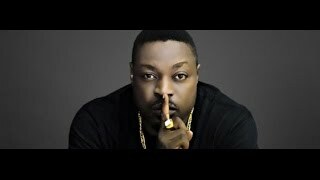 Retiring rapper Eedris Abdulkareem has dived on his own acclaimed legacy made in the Nigerian music entertainment industry. The old-time rapper said the work done by old artistes like himself, is what had opened up channels of monies for today artistes like Don Jazzy. Speaking with Hip TV, Abdulkareem said, the old artistes put food on the table for the likes of Don Jazzy and other new artistes. He said, “Without the old artistes, the new artistes won’t make money, because we fought for the life that they are living right now. We put food on their table because of what we fought for, and we are very happy, and that’s why we are legends, you understand. But if anyone of them tries to disrespect, we will put them back to where they belong. “All of them, from Don Jazzy and all of them, they lived in London, how come the British government never gave them opportunity, they had to come to Nigeria because we made it happen. We will beg Don Jazzy to snub, but it is even harder now.